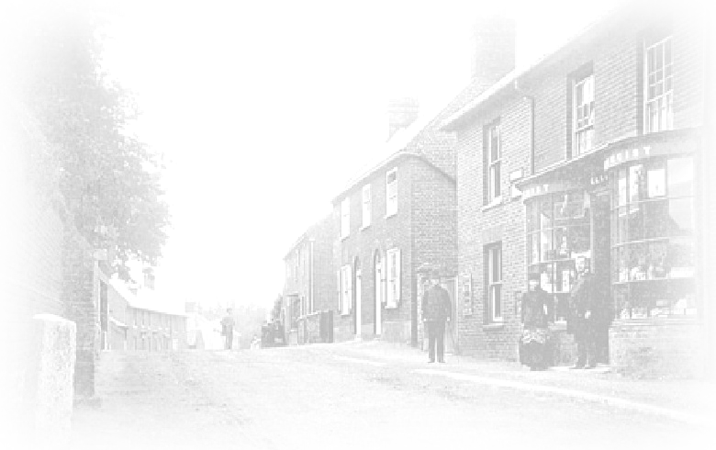 The Loddon Parish Study is hoping to cover several areas including any documentation that is available - particularly the wills of people associated with Loddon which can provide all sorts of interesting information. The Norfolk Record office catalogue lists a (very) great many wills up to 1858 when wills stopped being the resposibility of the Church and came under the state, these are available on film at the Forum and at the Record office. There are post 1858 wills up to 1900ish that were proved in Norwich also available on film at the Forum, but the indexes are available on Ancestry or on Film..
Pre 1858 some people took their wills to the PCC Prerogative Court of Canterbury rather than to one of the three Norfolk ecclesiastical Courts(NCC, ANF, ANW) These are available on line from the National Archives, but are are often very long and complicated and the script is particularly difficult to read. 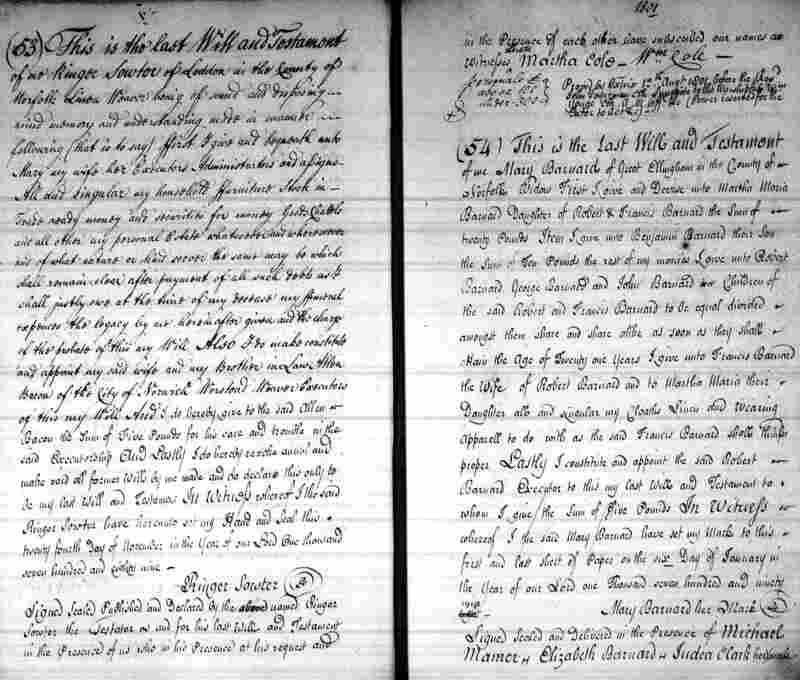 Most of the wills proved in Norfolk for 1800 -1858 can be viewed on line at http://www.norfolksources.norfolk.gov.uk/DserveNS/ and they may be saved to ones computer which facilitates transcription. 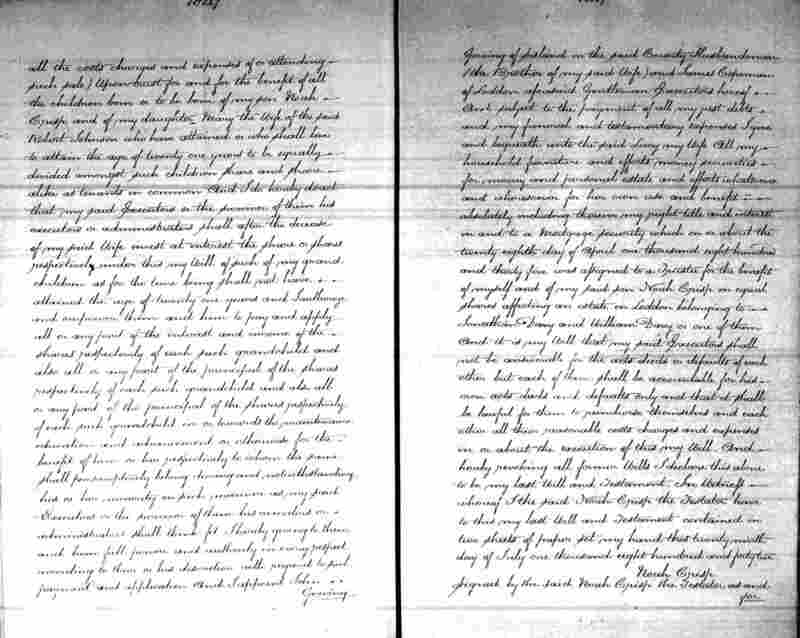 Short wills are relatively quick to transcribe, but some can spread over more than 8 pages and become very repetitive. We could do a complete transcription or select the main facts in such cases. 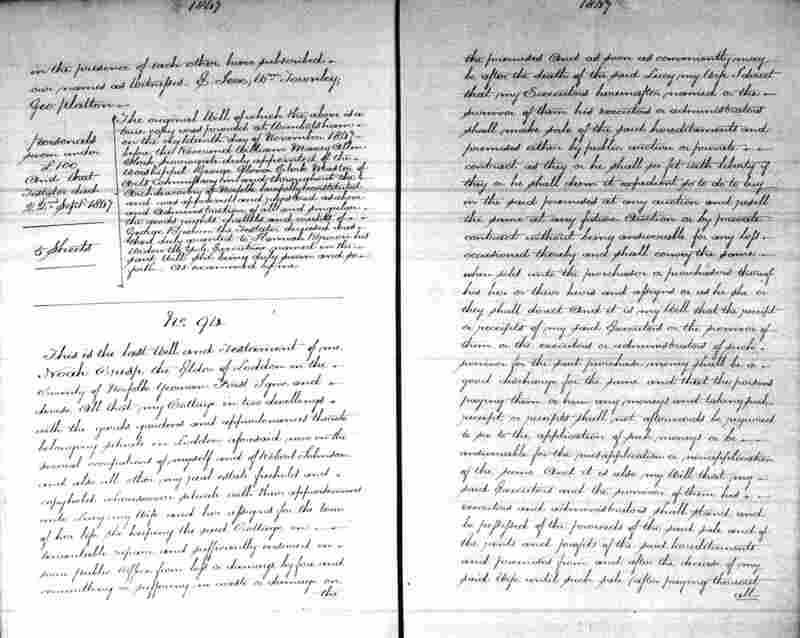 However, we plan to start with the 1800 - 1858 wills as there is a lot of Parish register and census information to provide background detail. 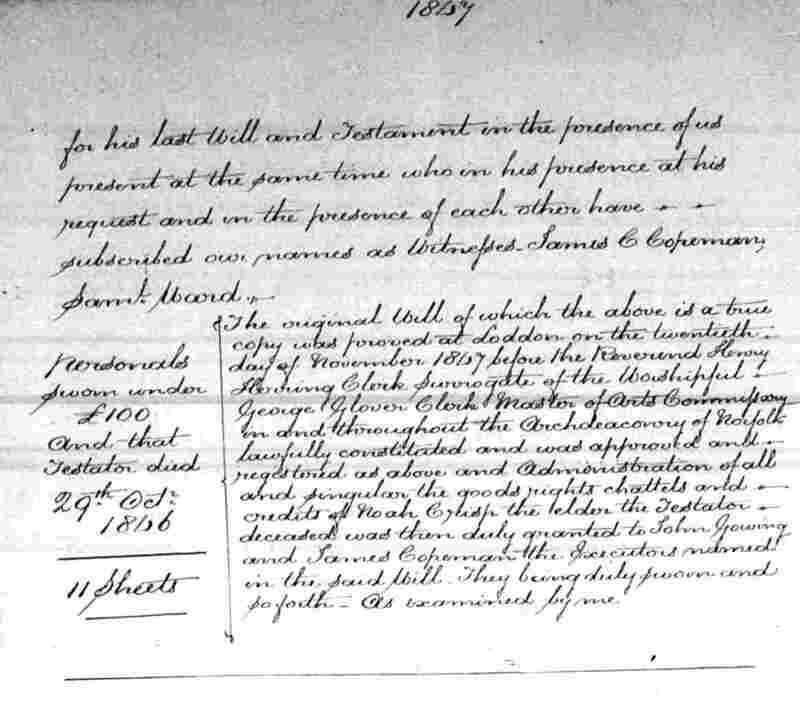 See below the wills which have already been transcribed, that of Lady Dionysis Williamson who has her tomb in Loddon church, Noah Crisp, who lived in the Gravel Pits(now Davy Place) and Thomas Brett who, with his family, have gravestones in the churchyard; this is a PCC will. We intend to get a group of interested people together to discuss the way to go and to get started. There is no date by which things need to be done, and experience says one tends to get involved with families and thus maybe diverted onto others, but it can all be very informative and fun too.